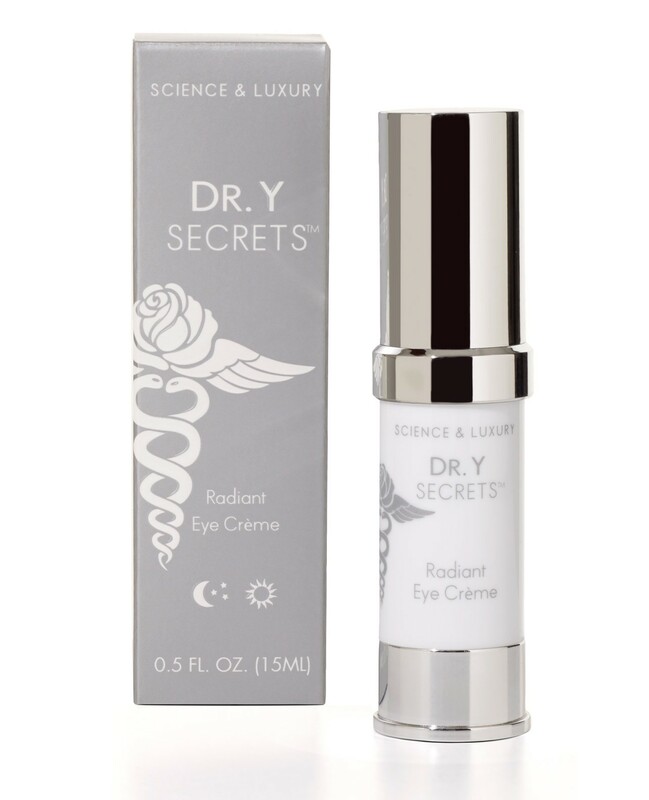 The Radiant Eye Crème contains an intensive, luxurious power-packed secret formula with alpha hydroxy acids, pressed rose petals and intrigue. The Radiant Eye Crème helps effectively diminish the signs of aging - including fine lines, puffiness and dark circles - firming up the delicate skin around the eyes, for lasting results. The window to your soul, indeed. Imagine yourself in an enchanting garden full of blooming roses. Light a candle. Inhale. Following The Illuminating Toner, apply The Radiant Eye Crème in a circular motion, enjoying the exquisite feel of the product on your finger tips as it melts into your skin. (Seduction by roses? We think so.) For full benefits, apply twice daily. Open your eyes to the beauty all around you. Water, Caprylic/Capric Triglyceride, Isostearyl Isostearate, Cetearyl Alcohol, Glycerin, Glycereth – 26, Cetyl Esters, Magnesium Aluminum Silicate, Ceteareth-20, Squalane, Phenoxyethanol, Ethylhexylglycerin, Saccharina Longicruris Extract, Glyceryl Stearate, PEG-100 Stearate, Ammonium Acryloyldimethyltaurate/VP Copolymer, Panthenol, Xanthan Gum, Tocopheryl Acetate, Stearyl Glycyrrhetinate, Disodium EDTA, Retinyl Palmitate, Citric Acid, Fragrance, Sodium Hyaluronate, Prunus Cerasus (Bitter Cherry) Juice, Butylene Glycol, Acetyl Tetrapeptide-5, Rosa Damascena Flower Water.